Sasaki Time: Marvel's Ant-Man on DMA 11/17 & Blu-ray Combo Pack 12/8 - Bonus Clips! 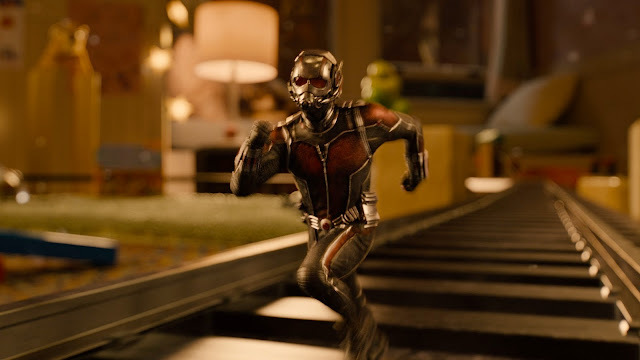 Marvel's Ant-Man on DMA 11/17 & Blu-ray Combo Pack 12/8 - Bonus Clips! Take a look at two bonus clips as Ant-Man gets ready for DMA release on November 17th and then on blu-ray on December 8th! The filmmakers explain how they captured the miniature world of Ant-Man in a new featurette for Marvel's "Ant-Man," out on Digital HD and Disney Movies Anywhere November 17 and on 3D Blu-ray, Blu-ray, DVD, Digital SD and VOD December 8! Anthony Mackie explains the importance of Falcon's battle with Scott Lang (Paul Rudd) in a new featurette for Marvel's "Ant-Man," out on Digital HD and Disney Movies Anywhere November 17 and on 3D Blu-Ray, Blu-ray, DVD, Digital SD and VOD December 8!